The knives of the CHROMA HAIKU Yakitori Series are ideally suited to projects requiring a strong yet affordable blade that stays sharp and is amenable to a less rigorous care regimen. The blades of these knives are made of good X50 Cr15 steel with a hardness of HRC 54°. The handles are synthetic, and not only to present you with an affordable price. They are also very forgiving of the occasional inadvertent run through the dishwasher. The series comprises 7 knives; rest assured that you will have the right knife for practically every job. 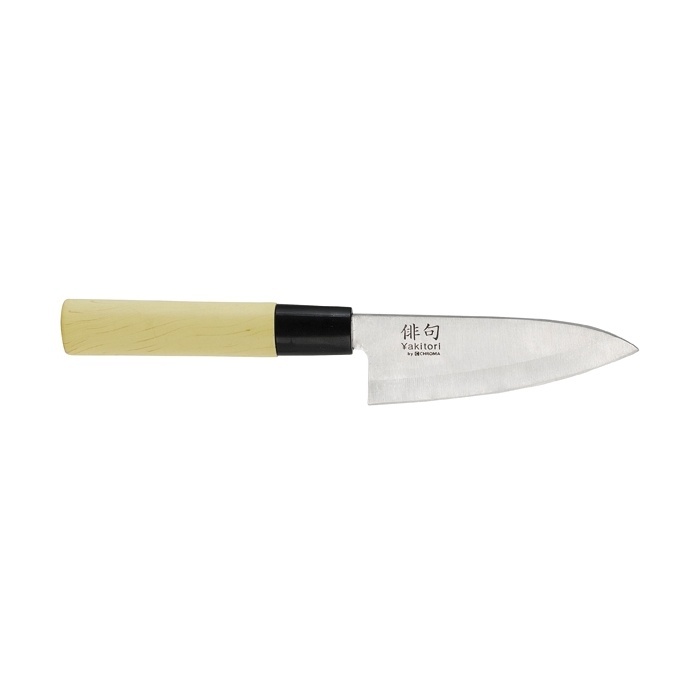 The HAIKU Yakitori cooking knives should also be regularly sharpened with a sharpening stone, for example, the CHROMA ST-2/8.